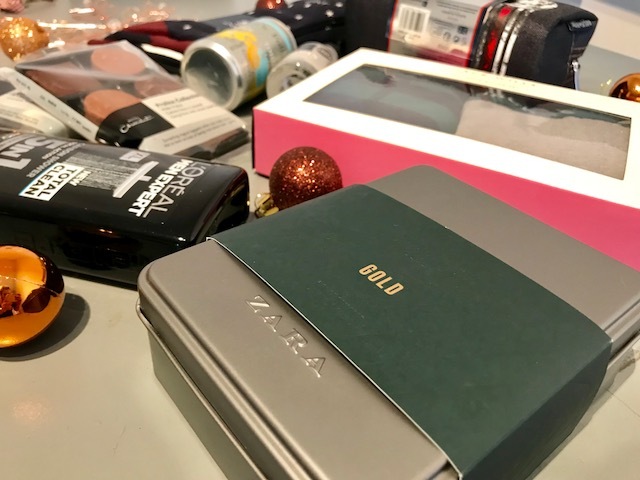 As it’s now only 2 weeks until the big day I presume if your pretty organised like I am then you have already bought all your presents and maybe even started to wrap them! 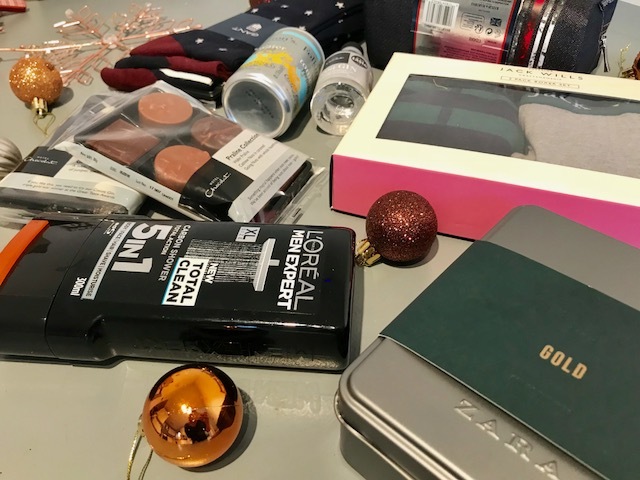 But for those of you who are not that crazy I thought I would share some last minute gift guide ideas! 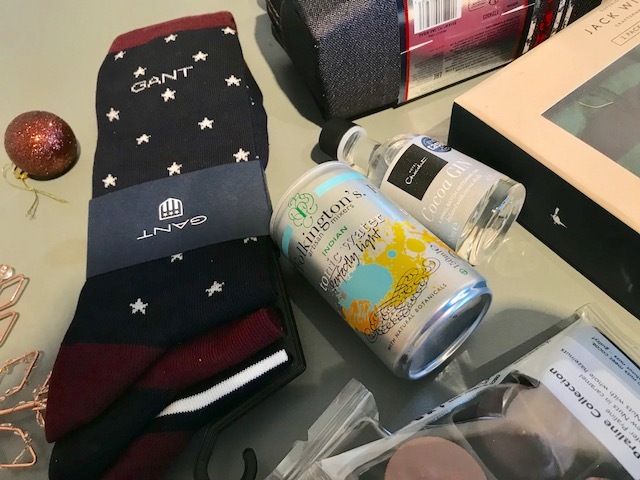 Last week I shared my Ultimate Gin gift guide and I have already put together a stocking filler post too but today is all about the men in your life! I have to buy for my dad, brother and fiancé Darren. I don’t reallllly measure how much I spend I would say I just pick up bits and bobs until I have found a good amount of gifts. My dad ends up being the most difficult as he already has everything and usually only buys designer so slightly out of my price range to go pick him up a new shirt or something so I tend to buy chocolates, socks, aftershave you know the usual boy stuff! Last year I picked up the Zara man fragrance for darren and I really liked the scent so I choose one for my dad this year so he can wear it for work. It’s fairly cheap so good to add in with a few other bits! Everyone gets socks in my family at Christmas and this year is no exception (I literally have bought everyone a pair) these ones I picked up from Amara they look really nice quality so I think my dad will like those. 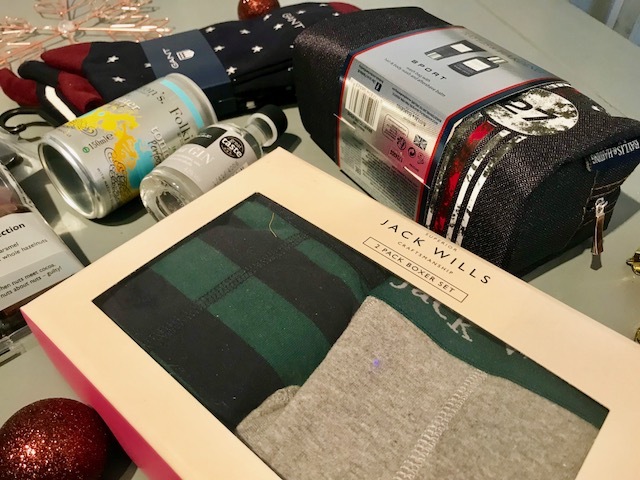 Additionally in most stores you can pick up these gift sets where you get a pair of socks and a pair of boxers, I think these look nice as they are a good gift in the box and they usually end up being better value for money rather than buying separately. Obviously everyone needs smelly stuff at Christmas time! 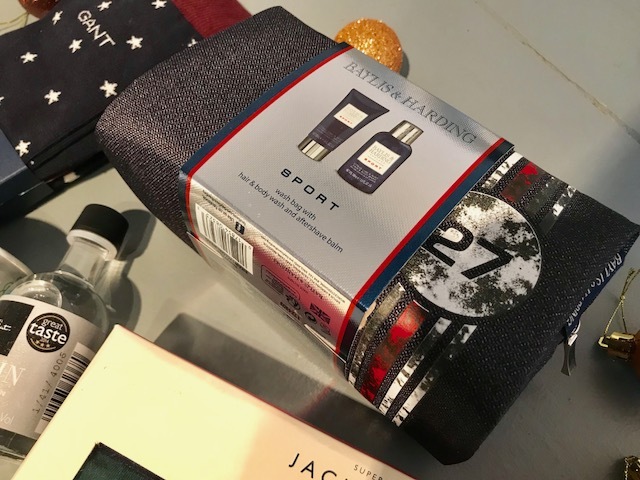 This little Baylis and Harding gift set is perfect as it’s the wash bag with little travel minis, we are always going away for the weekend so they come in handy. Of course you have to buy chocolates at Christmas I picked some from my faveee place Hotel Chocolate! You can usually buy three bars for £10 so I choose a few different ones. You could always give these to separate people as little stocking fillers. Finally I threw the little gin and mixer, everyone loves gin in our family so wrapping these up together make for the perfect little gift! This gin I featured in my Ultimate Gin Gift Guide which I also found in Hotel Chocolate these miniatures you can usually pick up for around £4 in most supermarkets! 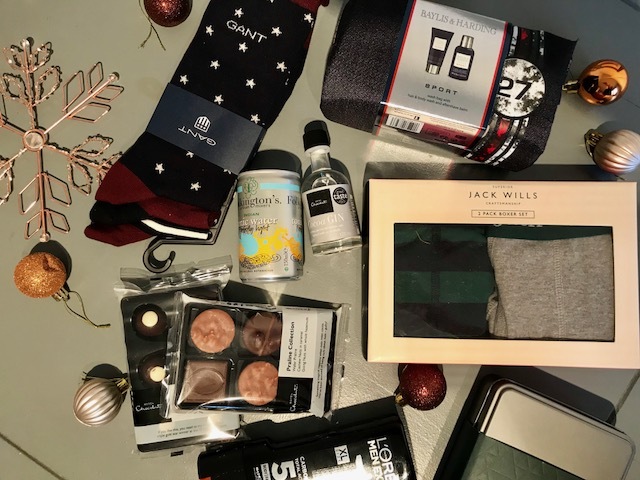 I hope that gives you a few last minute ideas for them men in your life or even the woman as who doesn’t love chocolates, socks and smellies!! !